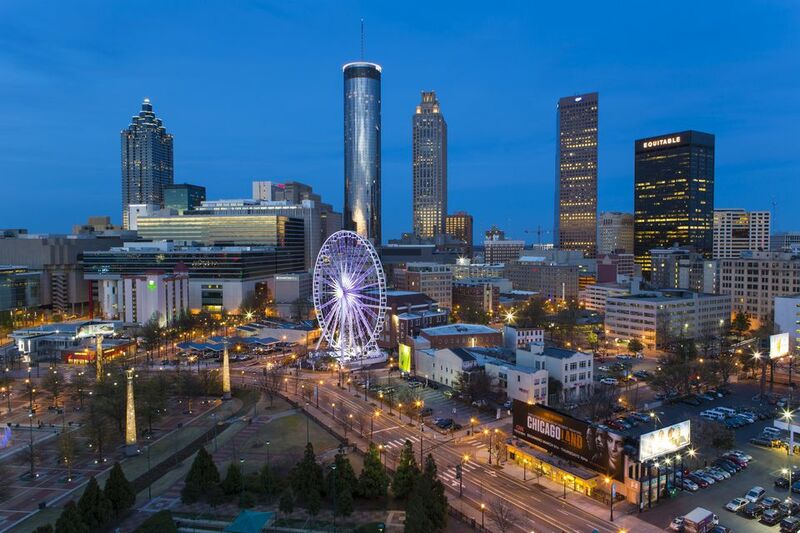 In recent years, Atlanta has made a name for itself in TV and film, earning the nickname "Hollywood of The South." Indeed, many shows have chosen to film in Atlanta, and it's no longer unusual to see movie stars out and about. Find out if one of your favorite shows is filmed in Atlanta—and maybe even learn how to become an extra! One of the biggest shows to make a splash in Atlanta is the zombie hit The Walking Dead. The well-loved AMC show is filmed in and around metro Atlanta—and, unlike some other shows, it happily acknowledges that. While many shows film in Atlanta even though the story is set elsewhere, some of the most important events in season one of this show actually took place in Atlanta. Residents will recognize many streets where filming took place as downtown Atlanta, though the show took advantage of some deserted blocks that didn't need too much dressing up to make a good set. The show has filmed in several areas on the outskirts of Atlanta including Newnan, Senioa, Sharpsburg (all South of Atlanta near Peachtree City). The bulk of the scenes during the storyline on Hershel's farm were filmed in Senioa, where the farm set is located. That's right, the heartthrobs and hotties of The Vampire Diaries worked right here in Atlanta! Well, ok, usually they were over in Covington, but it's still metro Atlanta! The show filmed in the area for several years. The show may have ended, but fans can still take a tour of many of the sets from a local super fan! Think you've got what it takes to be a killer zombie or just a pretty face in the background of one of the many TV shows or movies being filmed in Atlanta? One of the best sources for extras casting information is Extras Casting Atlanta, and you can find out about upcoming opportunities on their ​Facebook page. You might wonder why Atlanta, and Georgia overall, have become so popular as a location for movie and TV show film crews. The trick is tax incentives, with a tax break as large as 30% for filmmakers choosing Georgia. The government sees the film activity as a stimulus for our local economy, bringing money and jobs to the state. The incentive is regarded as one of the best in the country. To take full advantage, shows and films must include the Georgia logo in their credits, helping fuel our reputation as a great location for future projects. What are Atlanta's Safest Neighborhoods?